Our Naginata LARP Spear is made from durable foam that does not shred and is sealed with a strong coating of latex. 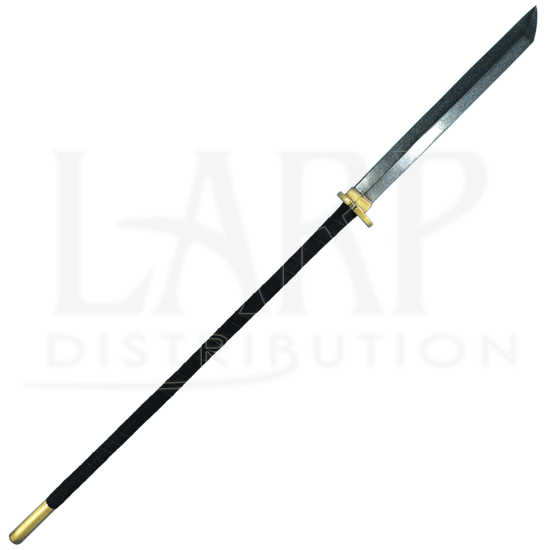 Safety is always an issue in LARP, and that is why it has a round, flexible fiberglass core with strong Kevlar core tip protection. 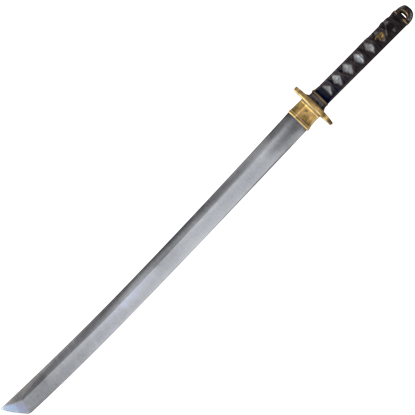 Sculpted and hand painted with realistic detail, this Japanese polearm belongs in the hands of a samurai. 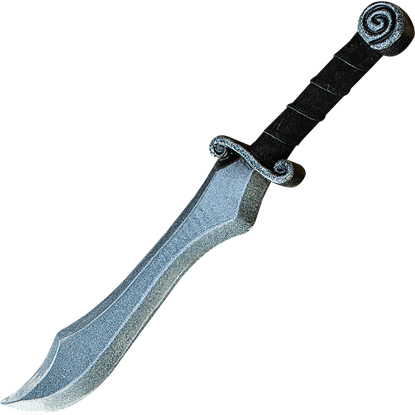 Its long single-edged blade sits atop a split-leather wrapped pole. 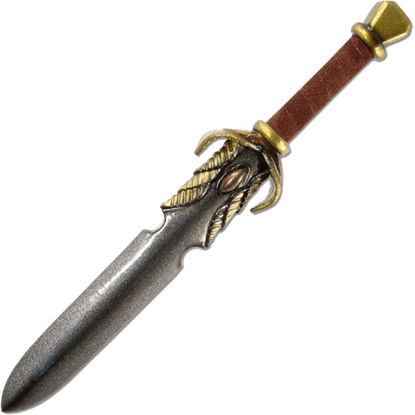 An ornate crossguard and pommel decorate the shaft. 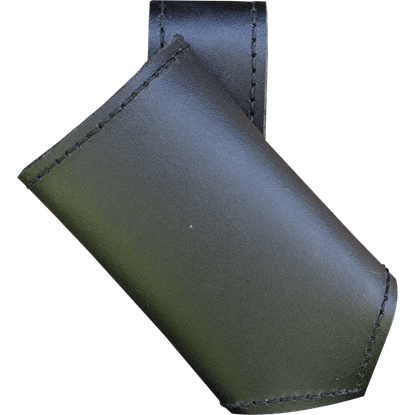 The suede wrapped handle color will vary between black and brown. 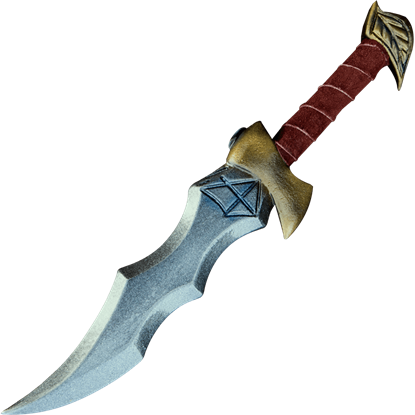 The color of the guard and end cap of the handle will vary between gold, silver, or bronze. Unfortunately we are unable to pick specific color combinations for orders.